The Bootmakers £200 Gift Voucher. The voucher can be redeemed against any pair of our fabulous Bespoke boots. The recipient will need to pay the difference in price (or provide a second voucher) according to style chosen. We will send you an order confirmation and a separate email with a printable card. This will also explain to you and the recipient how to choose style and colour as well as how to take the measurements to achieve the perfect fit. There is no need for you to specify the style or sizes at this stage. 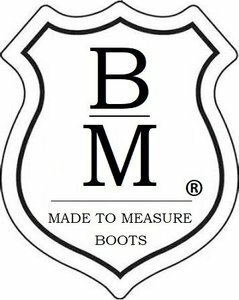 Our fabulous fitted boots will be custom made to the recipient’s calf, ankle and height measurements. The boots are lovingly handcrafted in Portugal using the finest leathers sourced from Italy. The ultimate in value, fit and quality - usually delivered in less than 28 working days. Postage at the appropriate rate for your location will be charged at the time of purchasing the voucher.